It looks like there must be an extension to help you generate the image to pin to pinterest. I found something for Chrome (called Shot Pin), but does anyone know of a tool that works for Firefox? I don't, but am interested if anyone else does. Not sure what you are asking but I'll go over the steps to do this. Let me know if I'm misunderstanding. In your photoeditor i.e. photoshop, create a blank canvas, add paper or fill with a color. Type in your quote/inspiration and the website. Save as jpeg to your computer. Go into pinterest and open up the board you would like to pin this to. Click the + button at the top of the board and you get a menu to "add section" or "create pin". You "create pin" and drag or drop the saved jpeg to upload or click the download box to open up the menu to select your file. Does this answer your question or is there something else? Rae, yes, that is what I was going to say. I only ever see it for quotes and sayings etc. so not sure what else it would be used for. 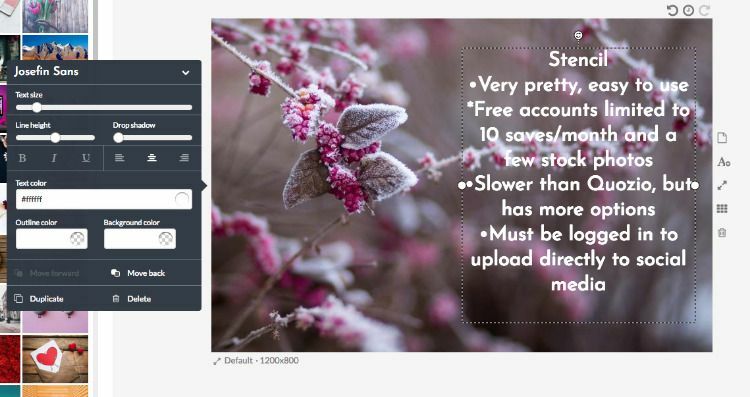 We use the snipping tool to create a jpeg from the screen, save to computer and then upload. Do not know of a programme that uploads it directly. You can take a screenshot in the updated Firefox menu, but it seems like you can't then directly save that to Pinterest. You would have to download it and then upload it to Pinterest from your computer. I was already using graphics programs, primarily Skitch, to make my text to image pins offline and loading them manually to Pinterest, but that involves a lot of steps. There are a lot of web apps for generating social media text to images but they're often unnecessarily complicated and often not free. I finally found one (and a half) apps that I like. As long as you don't need fancy backgrounds or extensive annotations, I recommend Quozio http://quozio.com/bookmarklet/. 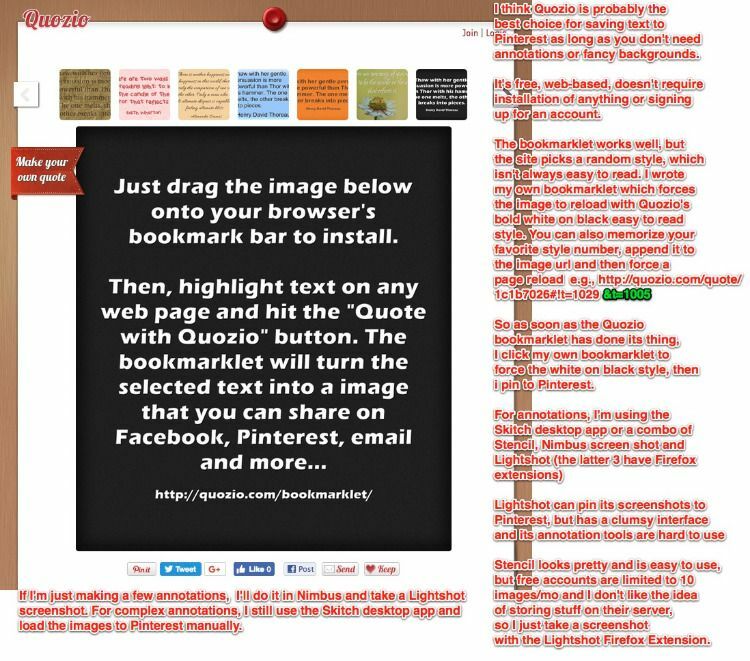 You highlight your text, click a bookmarklet or enter the text manually and Quozio generates an image with social media buttons. It's free, web-based, doesn't require an account or installation of anything. The only problem is that Quozio picks a random style (which you can change after the fact) that isn't always easy to read and Quozio's style menu itself changes randomly, so your favorite isn't easy to find. I wrote my own bookmarklet to force Quozio to reload the image in its easy to read white on black style. So after the Quozio bookmarklet has done its thing, I click my own bookmarklet and then I pin. Make a bookmark that goes on your bookmarks toolbar, put in the code exactly as written above (all one line) in the location section for your new bookmarklet. EDIT: Wow, learn something every day - to make a bookmarklet, you can just grab the italicized text above and drag it to your bookmarks toolbar. Then rename it. Alternatively you can memorize your favorite style (labeled t=xxxx at the end of the url) and append it, then force refresh the page. So if the url of your image was http: //quozio.com/quote/ef4c6b0e#!t=1006, but my favorite style is t=1005, I change the url to http: //quozio.com/quote/ef4c6b0e#!t=1006&t=1005 then force refresh (simply hitting enter once the new url is in place doesn't work - you have to do a force refresh - usually command-R or something similar). Last edited by hoodsmom; 02-17-2019 at 05:02 PM. The other webapp that's not bad is Stencil (https://getstencil.com/pricing). It's pretty and easy to use, but free accounts are limited to 10 images/month (which would be plenty for me, since I mostly need to make an occasional computer hint). However, in order to pin anything directly from Stencil, you have to save your image to an account - and I didn't really like the idea of my images residing on their server and then having to go back and delete them. If that doesn't bother you and you don't plan on uploading a lot of text-images to social media, this could be your app. It has extensions for Firefox, Safari and Chrome. Stencil also has fancy backgrounds you can put your text onto, but only a few for free accounts. You can, however, upload your own images, even if not logged in. What I do if I'm using Stencil is make my image not logged in to an account, then take a screenshot with a Firefox extension called Lightshot. Lightshot has an awkward interface, but it can upload its screenshots directly to social media. As I said, there are a lot of other web apps designed for posting text-images to social media, but Quozio and Stencil were the simplest to use. Another issue with many similar apps is that until you save your image to an account or hard drive, it's often stored temporarily as a "data-url" (a way of encoding images in html), which cannot be pinned directly to Pinterest, even though it looks like an image in your browser. Because images that can be pinned from the web have to be hosted somewhere, even if only briefly, you want a site that looks like it'll be around for awhile. Stencil looks like it'll be around for awhile. Not so sure about Quozio. Last edited by hoodsmom; 02-17-2019 at 02:07 PM. Thanks so much for this! 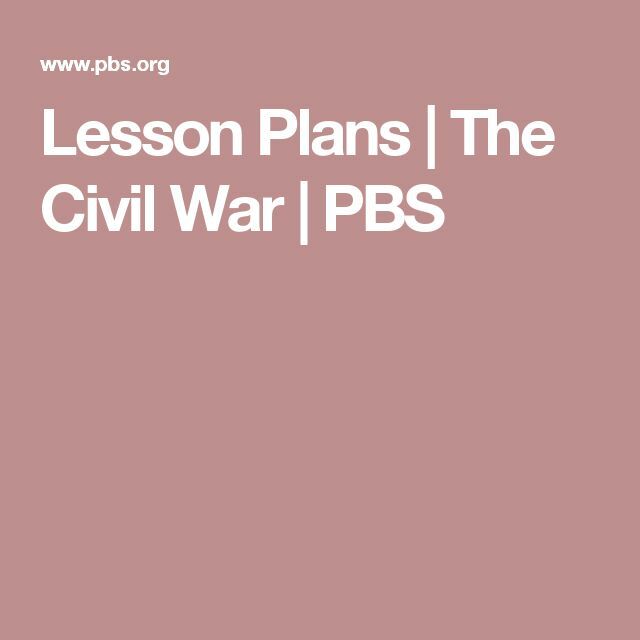 I am sure this will be a help to anyone that is interested in doing this! Love your detailed instructions!